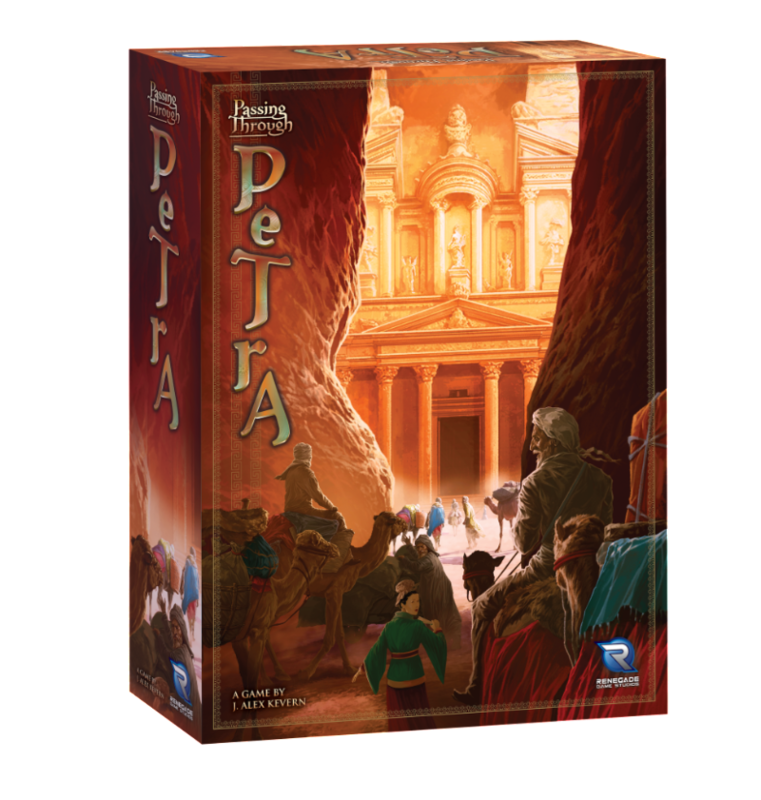 Spread Your Influence Beyond the Canyons in Passing Through Petra! San Diego, CA (August 9, 2018) — Renegade Game Studios™ is excited to announce a new tile-pushing and influence-spreading game designed by J. Alex Kevern (Prowler’s Passage, Sentient, World’s Fair 1893) and illustrated by Jani Orban. In Passing Through Petra, players will push trading tiles through the three-dimensional canyon walls, add tiles to their marketplace, and use the unique movement-based action selection to spread their influence across the land. 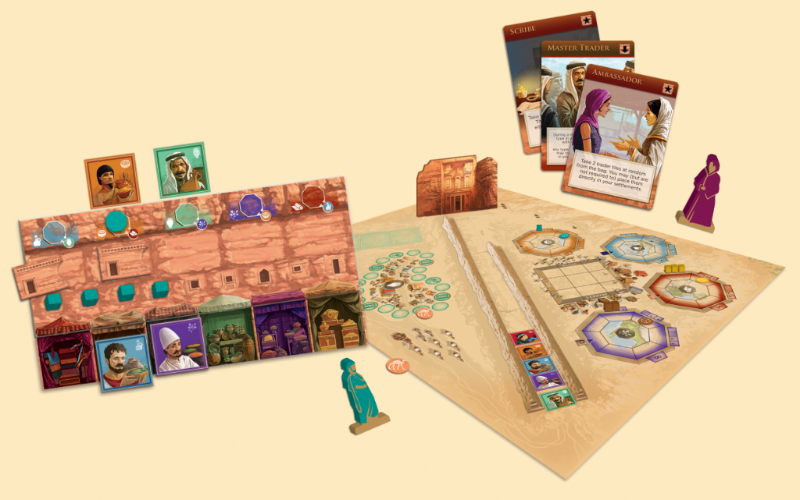 Coming soon in October, the game includes pre-painted Merchant Pawns, recessed Player Boards, and plastic Canyon Walls, all of which immediately immerse players in the theme. Pre-order from your Friendly Local Game Store or online through the Renegade Store. As a member of The Renegade Society, we will make sure you don't miss future updates about Passing Through Petra, including the rulebook and notable reviews as we get closer to the release! Renegade Game Studios is a premier developer and publisher of original award winning board games, including Overlight, Clank! : A Deck-Building Adventure, Lanterns: The Harvest Festival, and The Fox in the Forest. Our mission is to publish games that are fun, challenging, and unique. We believe that gaming is for everybody and that everybody is a gamer; you just have to find the right game!